Environmental Products & Applications has not only manufactured our own line of soil stabilizers for over 25 years, we have also applied them. It’s through these applications that we have developed our knowledge for polymers and exactly what it takes to make it work. We have designed specialized equipment through our applications as well. We have some of the most state of the art Mine tailing application equipment in the world as we know what is needed to traverse over soils that have low load bearing capabilities. So if you need dust control solutions and don’t have means to apply a dust control agent let us help you out, no matter where you are. 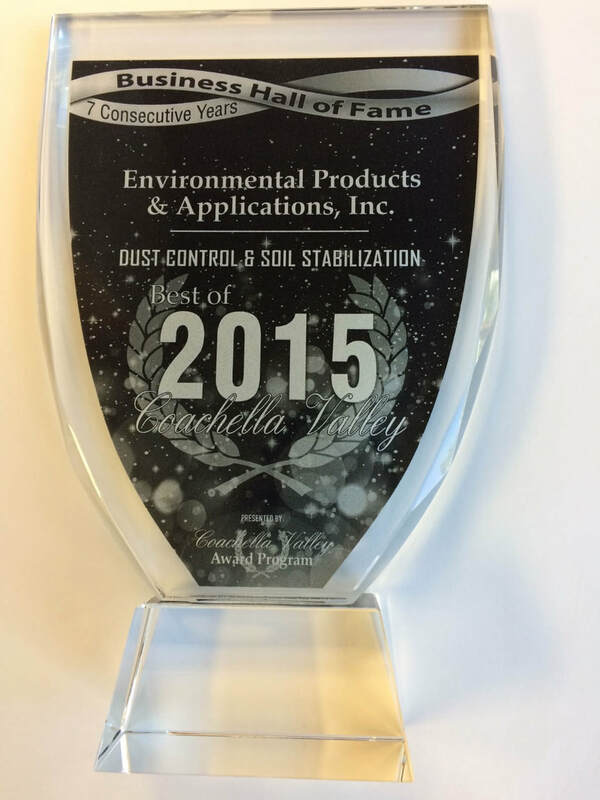 For example we have applied dust control with our equipment in locations thousands of miles from our home base in Coachella Valley, CA.